To add the maximum of movement I made the outer pin the hours, and the inner pin the minutes. 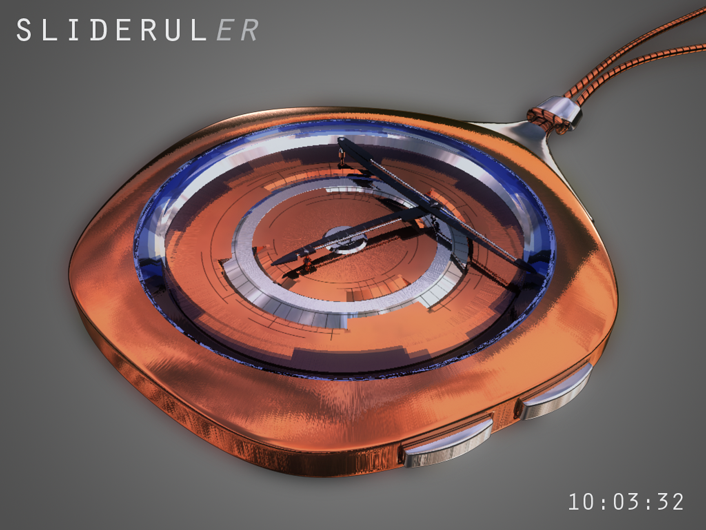 The seconds have to be in the middle to make both hands move continously, as you can see in the animation (which is in real time, not time-lapse). Another thing people asked for was hour markers, which I’ve added to the steampunk version in the form of a stepped colouring in the glass. I didn’t add the stepping to the other version simply because I didn’t remember. Styling is both sleekly futuristic or steampunk inspired. I went for a rounded pentagonal shape for the case, simply because I found it interesting and because I hadn’t used it before. The futuristic version sports blue chrome and white acetate while the steampunk is resplendent in radial-brushed copper and steel. 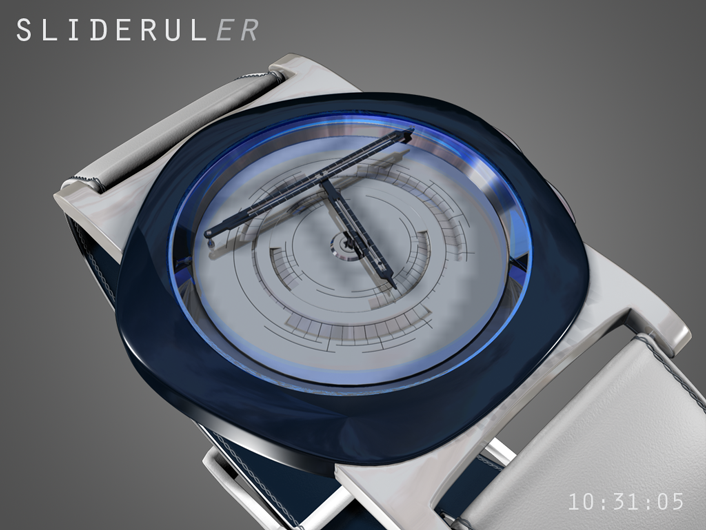 Of course, the display design could easily be made to fit any round watch body if required, and it would work in pretty much any material. 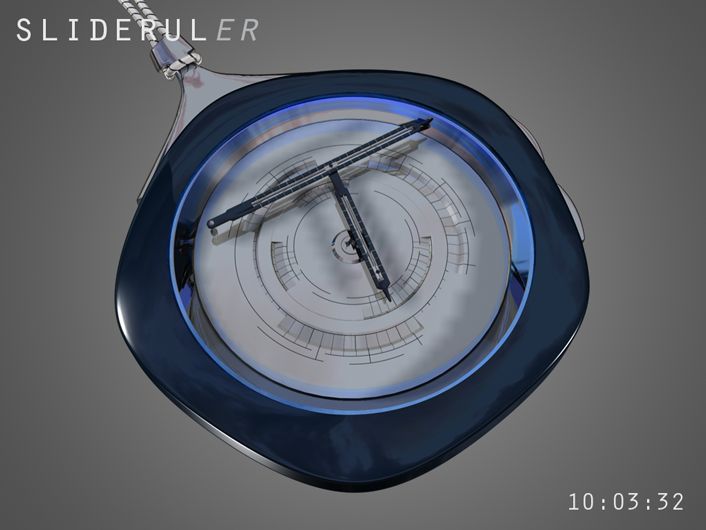 As you can see from the images I’ve imagined it both as a wristwatch and a pocketwatch. 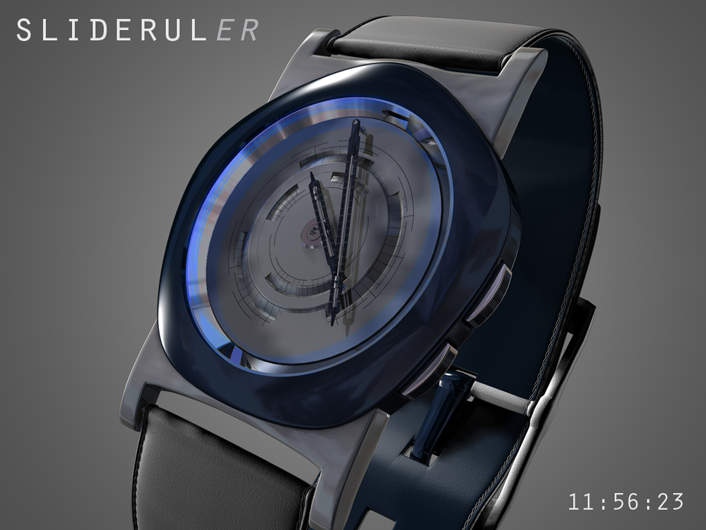 Unfortunately I made the mistake of only adding buttons to the side; there really should be a round knob for setting the time as it is an analog movement. 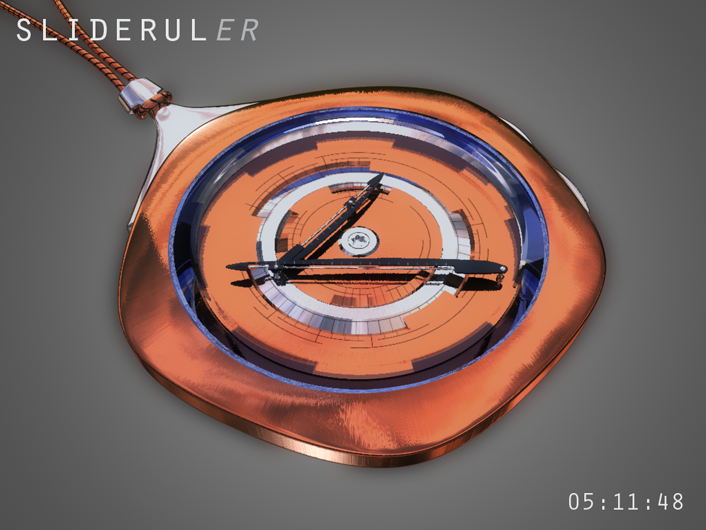 I would hope that the design would appeal to both women and men; the ladies might like to wear the pocketwatch version as a necklace, which should make it a real conversation piece as it’s always in motion and not obviously a watch. Gentlemen on the other hand might prefer to have it on a classic fob, or with a chunky strap. Either way should work fine. 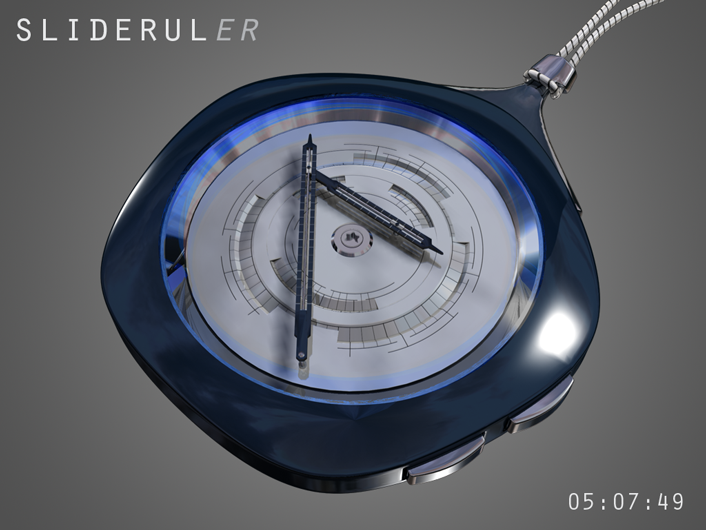 This entry was posted in Design Submissions, Pocket Watches and tagged Analog, Concept Watch Design, Mechanical, Pocket Watch, Product Design, unisex, Watch Design Submission. Bookmark the permalink. Great design, Anders! I really like the technical look with all the levers and scales. I prefer the blue one. 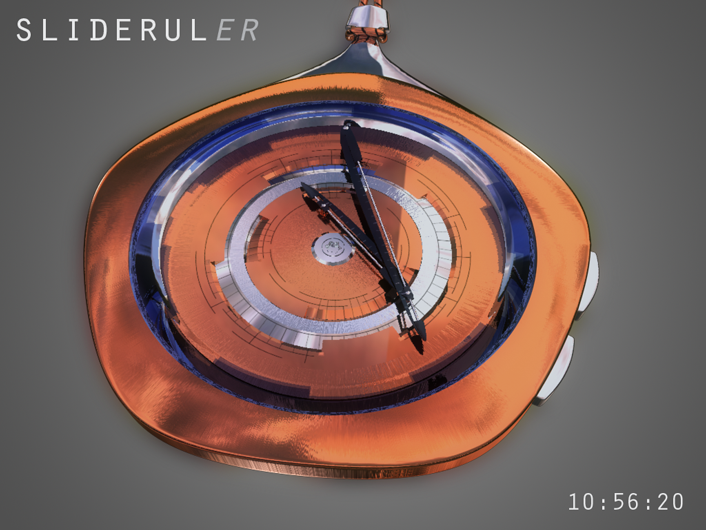 I’m still not sure how exactly to tell time, but anyway, this watch is really cool! I probably should have included a diagram explaining the time telling… It’s not complicated once you know where to look. Thanks for the comment and support Gordon! I know what you mean, it feels very quiet, doesn’t it? Part of it might be that there are fewer submissions coming in. What I miss though are the comments from TF on the blog, which gave a hands-on feel… Although, we don’t know what’s going on behind the scenes so to speak. Maybe they’re terribly busy making something completely awesome. I know my fingers are crossed.